I always enunciate South ATLANTIC very clearly when describing my nine day boat voyage on a lobster boat to Tristan da Cunha, 2,816 km off Cape Town. Inevitably I get asked, “Where in the South Pacific?” It’s beyond most people’s imagination that there’s land in the South Atlantic. Just ask Napoleon; he’d have told you there are volcanic spits of land tucked in the void between South America and South Africa. He lived out his last days on St. Helena in the 1800s. Or ask the captain of the MS Oliva who in 2011 managed to run his ship into Tristan da Cunha—and that with modern navigational gear! 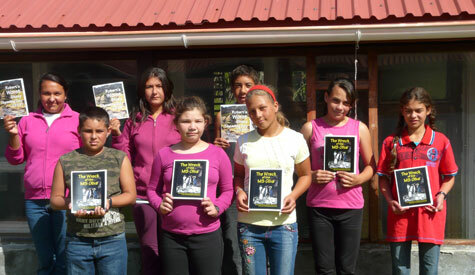 The latter event is the subject of one of the two stories that 11 and 12-year-old students of St. Mary’s School on Tristan da Cunha are writing and illustrating. I already have the first drafts in hand for editing. Illustrations are underway. Like Elisapee of the Arctic: Mallikjuak Adventure,the Tristan stories showcase the incredible storytelling talents of young people. 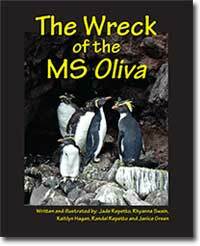 Both The Wreck of the MS Oliva and Robert’s Worst Sheep-Shearing Day Ever, will be available on the website as models for working with young people. Tristan da Cunha is a remote volcanic island in the middle of the SOUTH ATLANTIC ocean. The images show its rural splendour.See the "Potato Patches" where the 250 inhabitants of the island have their garden/cottages. 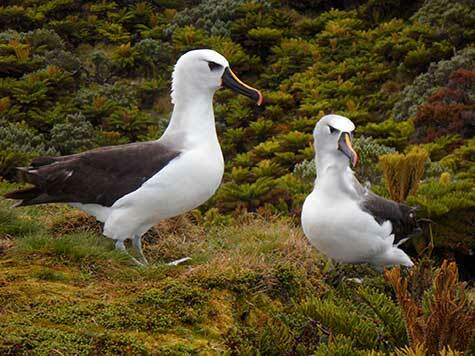 Climb with me almost 90 degrees upwards to the volcanic base where the albatross roost. Follow along with the fish patrol as we visit boats fishing for crayfish around the island's shores. You can't hear the gong (a gas cylinder) sound out before dusk on a fishing day, but, you can walk along Hottentot Gulch, up Hill Piece, towards Pigbite and along the penguin-inhabited shore. It took nine days of rough seas to get there—so enjoy the visit through the photos as you'll probably never go to Tristan da Cunha. 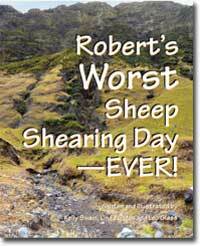 Eight young people from Tristan da Cunha, the remotest island in the world, wrote and illustrated Robert’s Worst Sheep-Shearing Day, EVER and The Wreck of the MS Oliva. Working in person for three days in 2012 with Angie Littlefield at St. Mary’s School on Tristan, the keen students of story-telling, completed the project via email. Linda Green, Leo Glass, Kelly Swain, Jade Repetto, Rhyanna Swain, Kaitlyn Hagan, Randall Repetto and Janice Green, proudly present their stories for free download. Just click on the cover to download pdf, and please be patient. Many thanks to Mary Cook, designer and editor par excellence.